As a student, have you ever felt stressed or overwhelmed by school or life at home? Are certain teachers, students, or even some of your friends getting on your nerves lately? Feel like you want to drop out and be done with school altogether? Well, you’re not the only one, but that’s why Midwood guidance is here to help. The guidance and support staff, which includes the school’s social workers and psychologist, help students with all kinds of problems ranging from academic and social-emotional to mental health and behavioral. When it comes to academics, guidance counselors are often the first ones to check in on students who may be having trouble in their classes or who need a little push. The counselors have heard our problems and are ready to help. Along with academics, guidance counselors also provide students with opportunities that they might not typically find on their own. “My guidance counselor and I share many laughs, but I can truly rely on her when I need internship opportunities and advice that can help me create a better future for myself,” said Sakinah Mehmood ‘20. The guidance rooms are on the first floor of the building, including Ms. Allen’s office in room 156B and Ms. Millman’s office in room 132. Although students continue to need support, guidance has their methods of dealing with these situations. Guidance offers individual and group counseling, Ms. Allen said. Freshmen and seniors do not necessarily have the same issues. “There are different stressors for each grade level,” said Ms. Allen. Some students resist having a relationship with their guidance counselor. Being there for students who don’t necessarily want a guidance counselor’s help can be challenging. And there are of course limits to what a guidance counselor can do. Students will continue to face challenges going through all four years of high school. 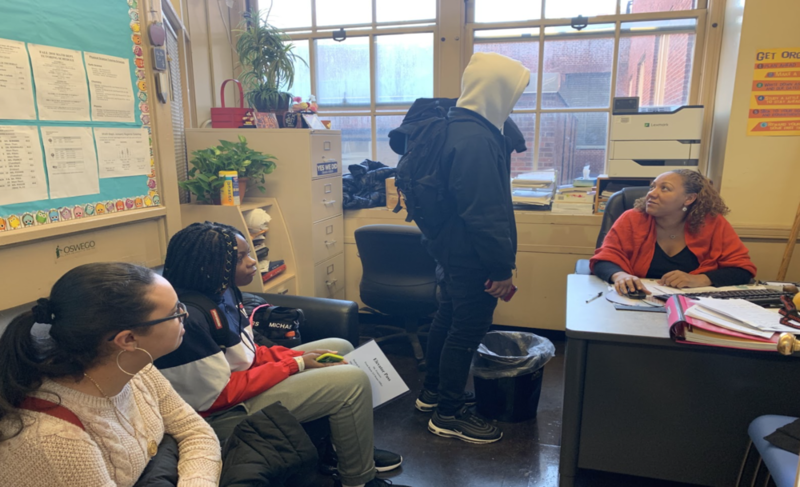 “School is extremely stressful as is, and it would be nice if guidance counselors could hold meetings with students more often just to check in on their emotional well-being,” said Chloe Adeleke ’20. “Open up to one person,” she said.